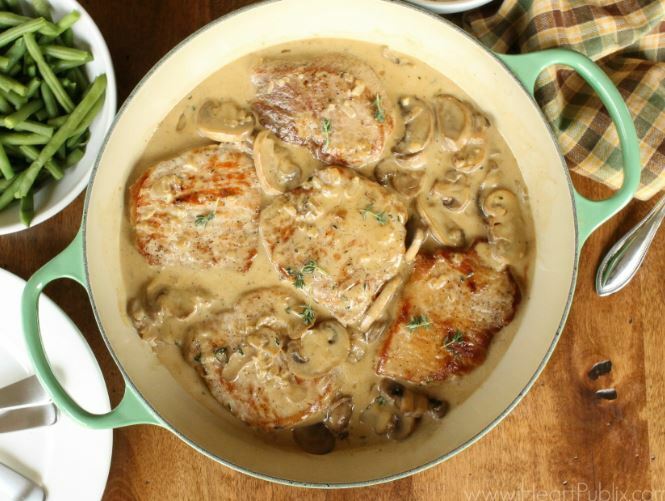 Here’s a great idea for dinner on a busy night – smothered pork chops. Five minutes of prep time and about 15 minutes of cook time is all you need to have this delicious entree on the table. Fresh mushrooms & garlic add lots of flavor, while the addition of cream to the dish results in a savory gravy. Serve over rice, potatoes or even noodles with a veggie on the side for a complete meal. You can check out the complete recipe with step-by-step instructions and more photos on the post HERE.